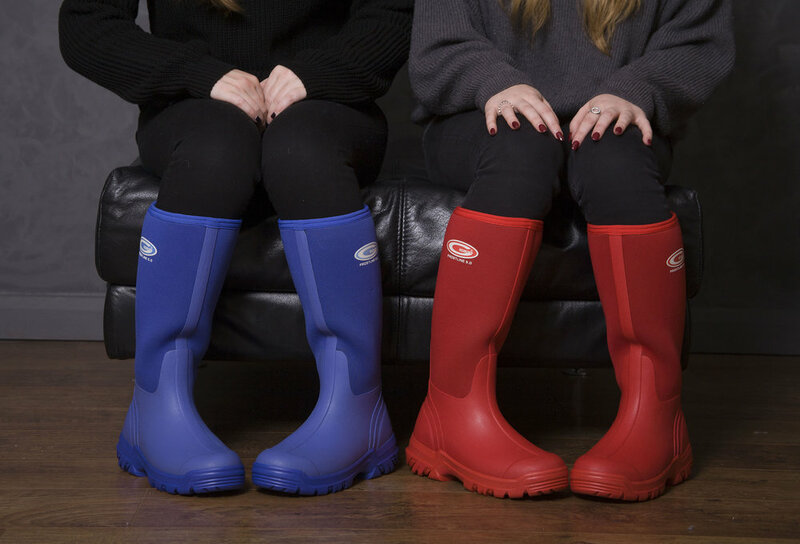 GRUBS Discover is waterproof and designed for walking. Walking for Fitness is a natural and straight forward activity, in which anyone can participate to feel good and stay in shape. Fitness walking can be used to develop endurance, improve breathing, tone the body and cardiac capacity. After a fitness walking session, you feel relaxed and excited to getting back out for another walk! You can Walk anywhere, in the city or in the countryside and there is no need to join a gym to start!A relatively flat route is best in order to start gently, getting some fresh air and increasing fitness levels. Walking has excellent health benefits and the advantage of being a soft low impact discipline. If your friends and family are the kind of people who haven't practised any sport for a number of years, Fitness walking is for them too! It is a sport that is gentle on the body and the joints given that the impacts are reduced as one foot is always in contact with the ground. 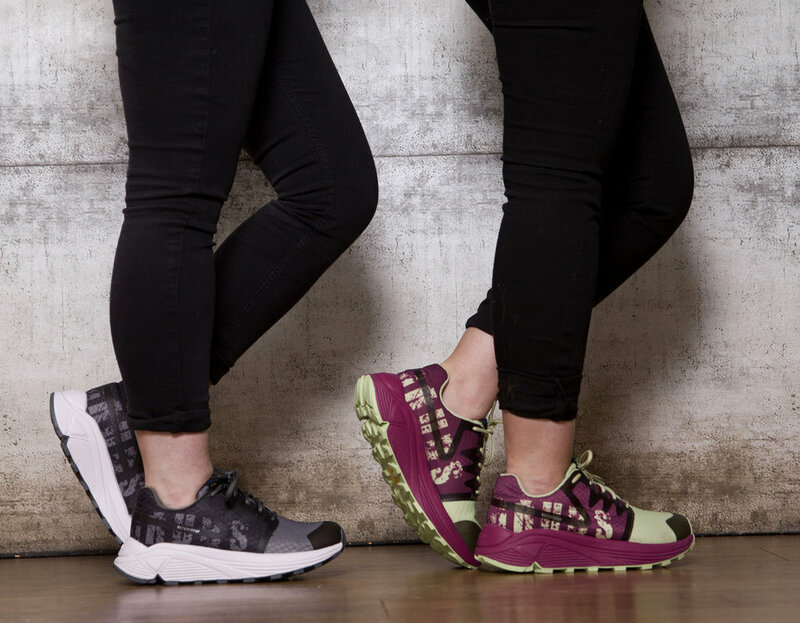 All you need is a pair of fitness walking shoes, designed to care for your feet while you walk. 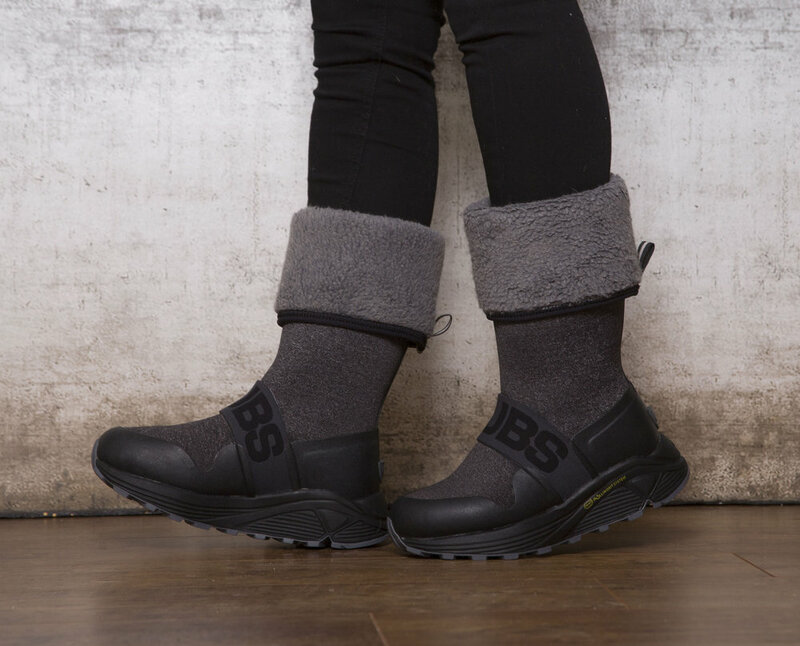 The Grubs Range of DISCOVER shoes and Adventure boots feature Vibram’s Rollin-gait system that works with your feet providing cushioning and support along with super traction. Number one priority is COMFORT! We want to be out with our poles at every opportunity on all types of terrain so we need supportive, lightweight shoes with great cushioning. 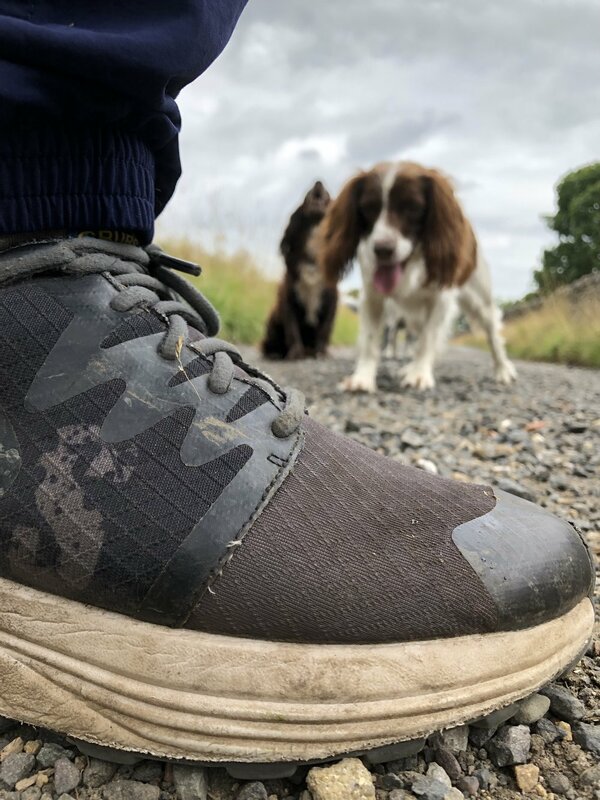 Second priority is WATERPROOFING WITH BREATHE – ABILITY!Soggy and/or sweaty feet will affect the experience of even the shortest of walks and one thing that we have learned over the years is dry feet = happy walkers! The third element is very specific but vital for Nordic Walking and that’s a sole that is flexible enough to get a great HEEL TO TOE FOOT ROLL. Part of good Nordic walking technique is to hit the ground with the heel of the foot and to engage the whole foot in a rolling action that finishes with a push off from the toes as you propel forward with the pole on the opposite side. The key things a shoe needs to provide in order to facilitate this are good cushioning for the heel strike and great flexibility through the mid foot to the toes. Vibram’s ROLINGAIT system increases the fluidity of motion reducing discomfort in the lower limbs even after hours of use. 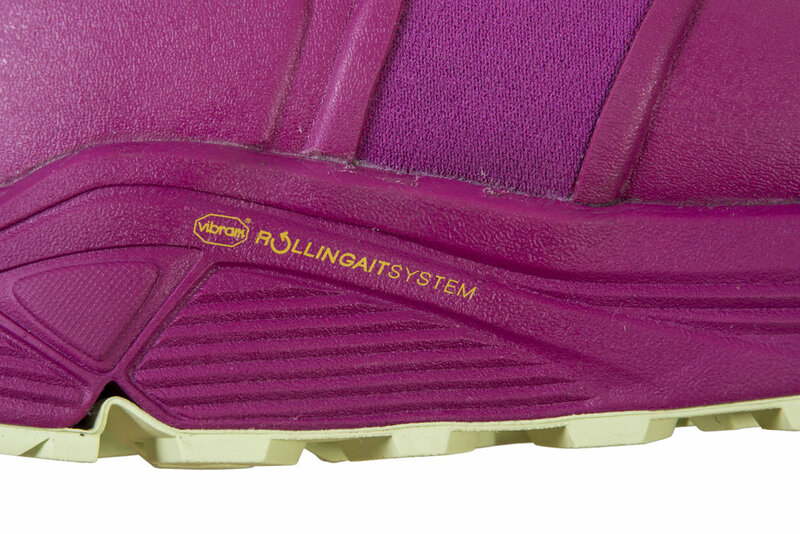 This month we have been testing GRUBS Discover Shoeswhich have built in ‘RollinGait’ technology and a unique Stabiltiy Cradle which positions the foot deep in the sole. 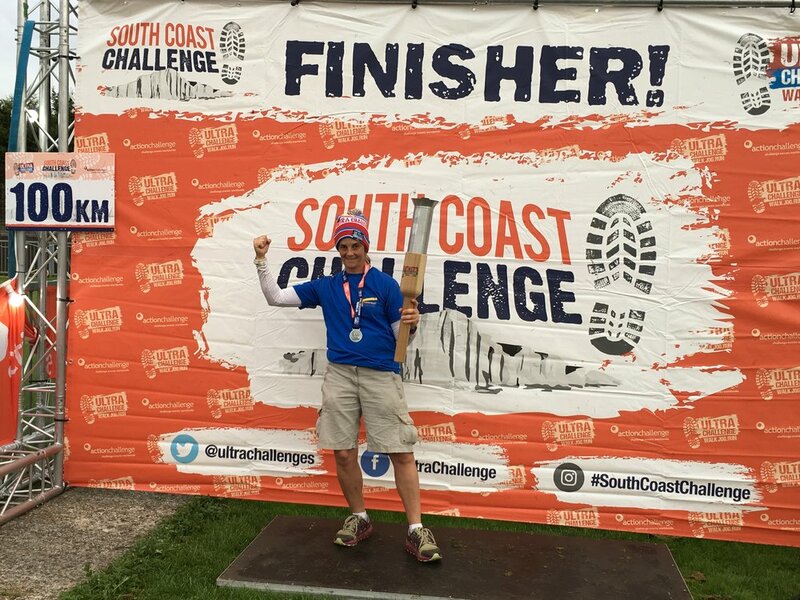 Tested by a panel of key instructors, our original concern that the sole was chunky sole were soon replaced with a “WOW that really helps to stabilise the foot.” They are also extremely comfy and the shoes really do enable brilliant Nordic Walking technique! 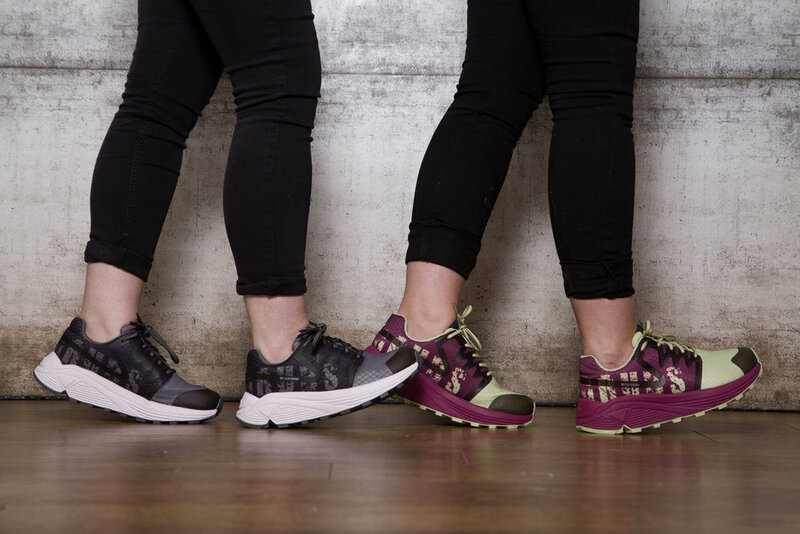 Tested by six instructors – the shoes have ranked higher than any others we have tested for Nordic Walking. Here are a few of the reviews ………………………. WATERPROOF! HYDROFUSE technology is lightweight, highly breathable and very waterproof. It took a few hours to get used to the RollinGait but once adapted to it I was hooked. I loved the fact that it encourages the lemon squeeze effect and heel strike. It’s not got a 10 because I would like to see a deeper lug. Although saying that they performed well on the Adventure walk and there were slippy conditions under the leaves and sandstone rocks. Mid sole – 10, they were like wearing slippers outdoors but with support. 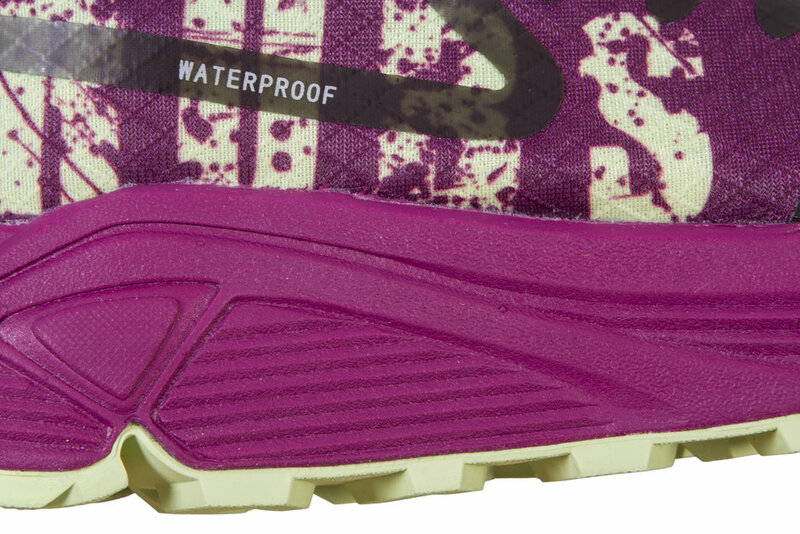 Waterproof – I’ve now fully tested the shoes in wet, damp and muddy conditions. They were really tested out on an awful muddy peak district walk and I have to say performed brilliantly, absolutely superb! 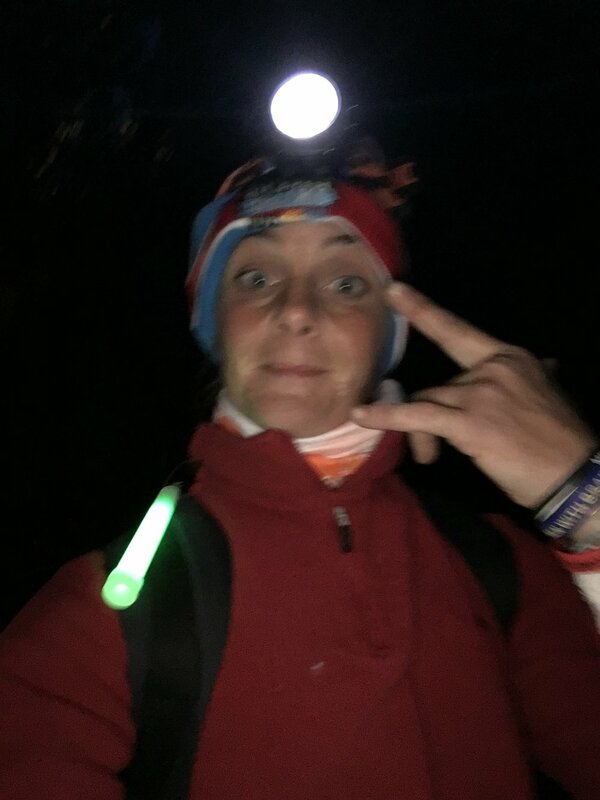 My feet stayed warm and dry and they didn’t slip or feel insecure at all whilst I supported less able members down a slippy bank. So top marks for the lugs! Weight 10 – Super light but still feel very much a solid shoe. Uppers – Hard to score on this one, as I’m not a fan of the colour and neither did it go down to well with my walkers, however, I did mention that they came in Charcoal too. They were all very curious about the shoe and if it had been in grey they wouldn’t have noticed it as much. In all I like the fabric, the flexibility of the shoe and the control that you feel you have with it. A super snug fit to the foot, very secure with the lacing system. They are also warm and cosy (if that make sense). The DISCOVER’s Derby lace system allows for a custom fit. These shoes were made for a lot of fun and serious walking! 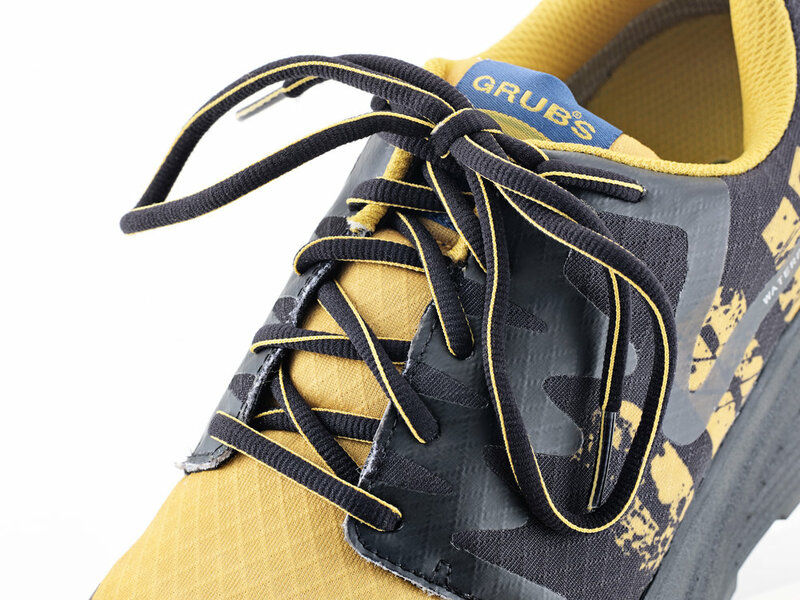 The company name alone, Grubs, lets you know that they are a no nonsense shoe for our wonderful British weather and terrain. Over the last seven days I have played on flint-stoned canal paths, slippery wet grass slopes, wet chalky hills, huge puddles, tarmac paths, woodland trails with hidden roots under slippery leaves. The tough rugged soles with decent grippy rubbery cleats really did keep me up right and dry. The shoes are wider than I am used to but with their unique lacing system I could tighten them to get a comfortable supportive hug within the shoe. There was a slight crease from pulling them tight but this did not rub on my upper foot. 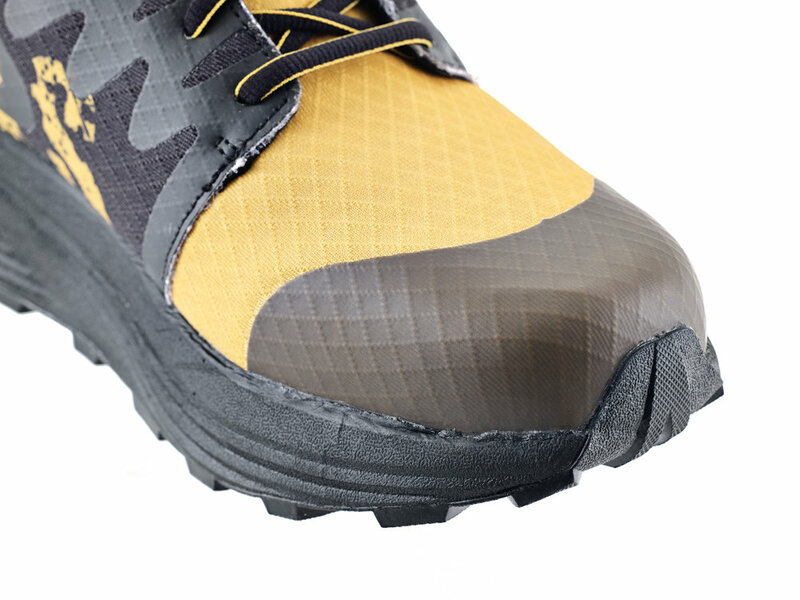 Space in the toe area for orthotics and the TPU overlay protects your toes. The shoes are also a neutral foot bed which was more practical for the heel to toe rolling through action of Nordic walking. You walk with a stronger foot placement. I did not need to resort to adding my orthotic soles in and comfortably walked up to 12 miles each day without foot ache. There was sufficient suppleness through the top of the shoe to flex as I moved through to the upright movement of heel to toe, almost on tip toes, especially comfortable going up the hills too. I wore different socks each day from merino thermal socks to athletic thinner running socks. I had no foot movement due to the lacing. I find with some shoes that are wider, I have to wear thicker socks that can often cause friction blisters. Not the case with these. 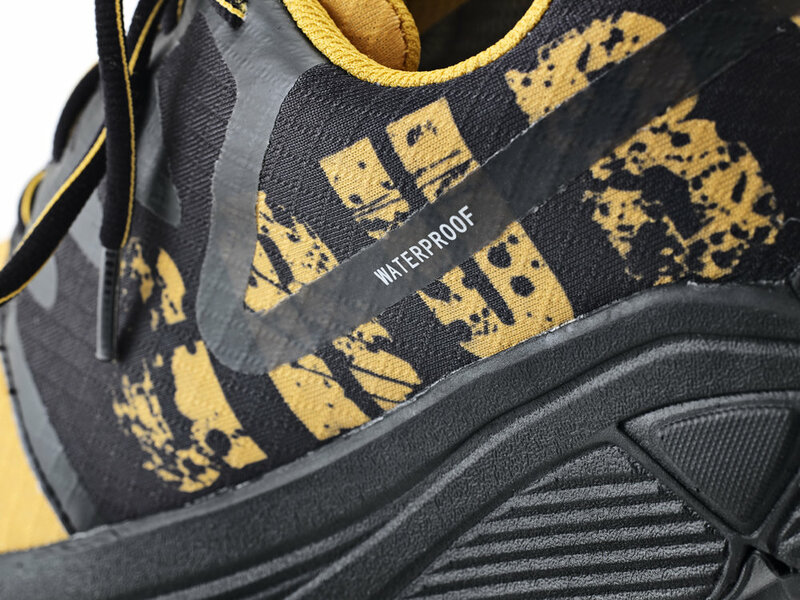 HYDROFUSE technology is lightweight, highly breathable and very waterproof. The shoe was almost similar in style and look of the lower foot bed of a wellie. This made them very waterproof. I have still not managed to get wet feet despite jumping in puddles. The heel grip was high and snug and didn’t rub. The ankle area was cut low and again, no rubbing. I have long feet with a skinny heel area, so although I was in a broad men’s shoe size 9, I did not feel like I was walking in oversize heavy shoes. The foot bed has a solid innersole, which I initially thought would feel hard and harsh on the sole, especially If I was walking on gravel. The rubber sole seems to disperse the piercing effect of the small stones. These shoes are a good alternative to leather shoes as they are lighter in weight. They are a different style to the trail shoes which are also low profile but often narrower. The shoe style didn’t have excess stitching on top which often deteriorates and splits with the constant upper shoe creasing. Ian Northcott from Bromsgrove had a Charcoal and Black pair to put through their paces and here’s his opinion! I have used these shoes for a few days now. Wow (apart from the white sole) they are fantastic. They are brilliant, I want another pair!!! They are really comfortable and flexible – they are great for NW on the flat with an even surface. I can really squeeze the lemons with them. They are waterproof and dry which is great at the moment – the colour is not great and the mint colour got dirty really quickly. 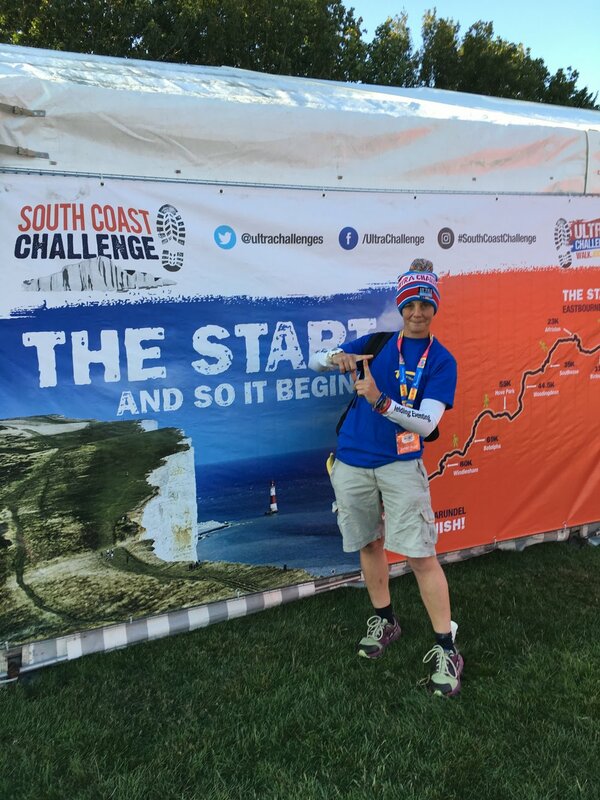 On hills they are OK again if the ground is even but as they are a bit wide for me – they were less supportive when walking on rougher ground or uneven surfaces because I could feel my feet moving around especially around the toe box which is pretty wide. However they are so comfy otherwise that I will try them with some insoles. Nordic Walking Fans love Grubs! 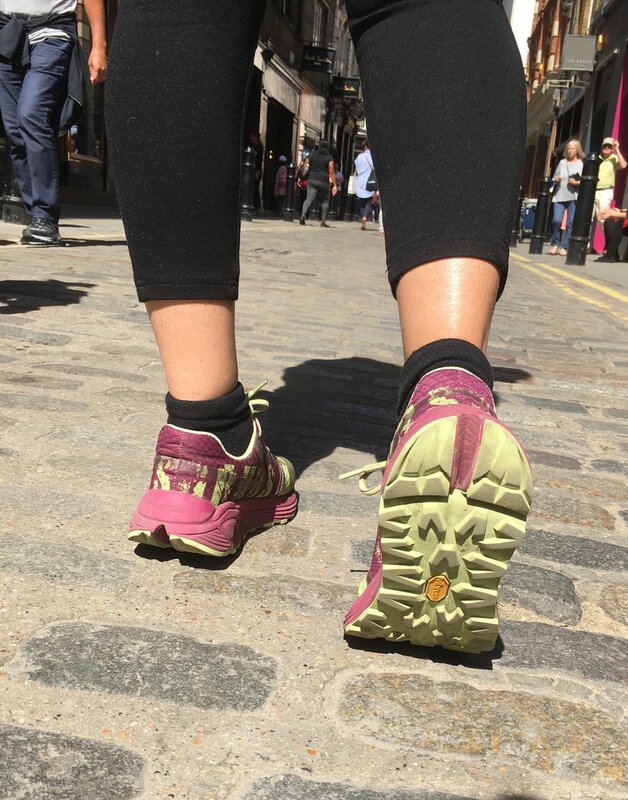 Finally Lucie Cormack and Gill Stewart from HQ have been testing the shoes on a variety of walks from long and slow to fast paced workout walks and the verdict is that they perform well on both and definitely seem to reduce fatigue in the legs and aid faster paced Nordic walking. They are incredibly lightweight yet robust with a great grip and I just seem to want to walk faster when I wear them! So we think that’s a pretty good thumbs up from the Nordic Walking UK experts! 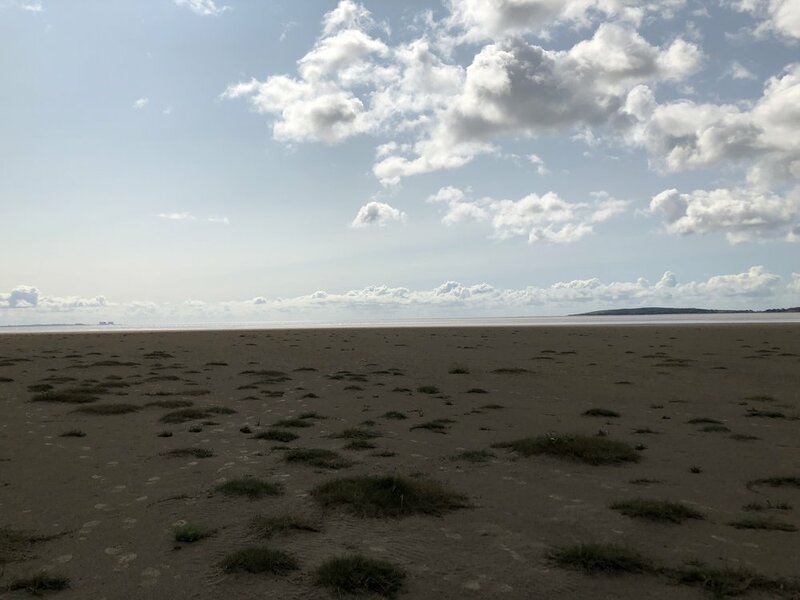 The view across the Kent estuary area of Morecombe Bay has to be on of the most exceptional in England and it draws visitors from all across the country. 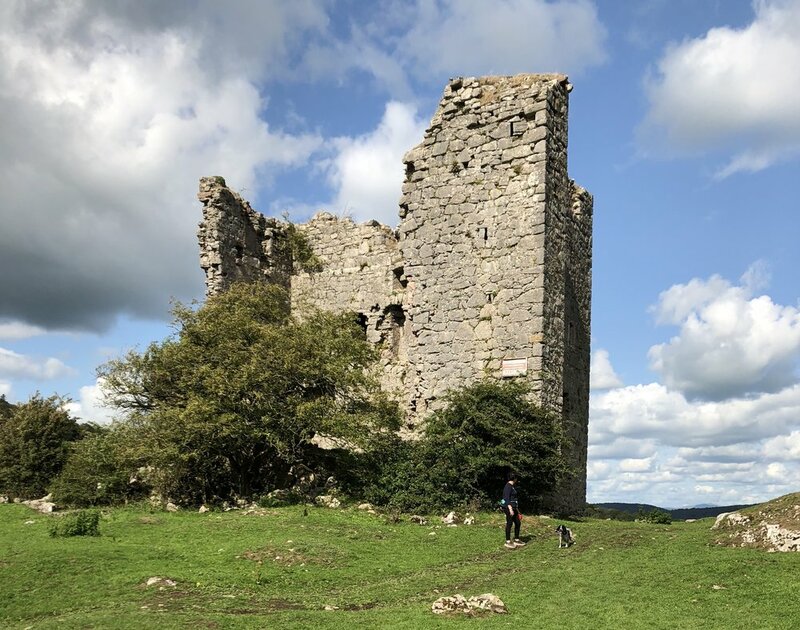 As the days grow shorter and the weather closes in this is a great area to get out and walk for a couple of hours and its accessible for walkers of all abilities. Starting at the Ship Inn at Sandside we took the start geo-trail along the old railway line and crossed over the road and headed to the beach. 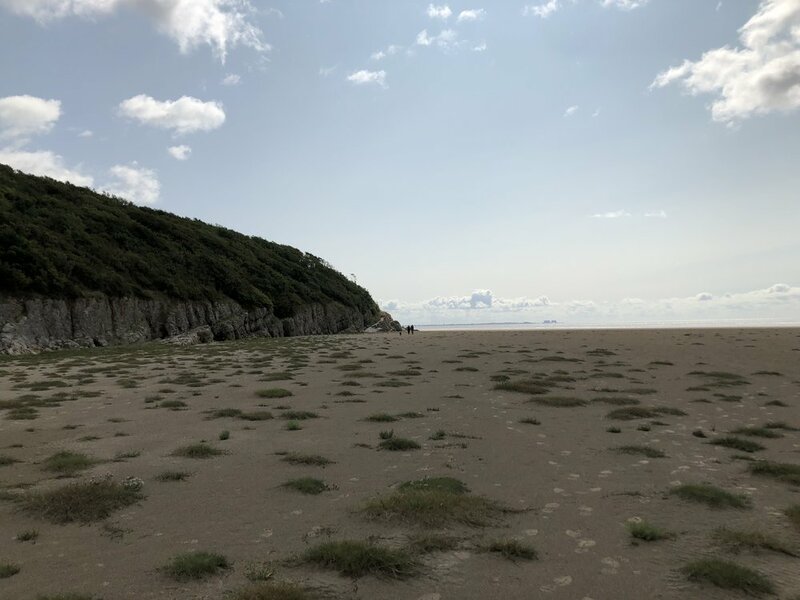 This area is an SSI, so please keep to the path which in this case is the embankment on the old railway line to Arnside. Being a disused railway it is Flat and dry even in the worst conditions, ideal for ramblers and dog walkers alike and benefits additionally from tree cover. It’s easy to pick up a good pace along this stretch and time rushes by due to the amazing views that keep you company the whole way. GRUBS MIDLINE 5.0 is perfect for winter walks. 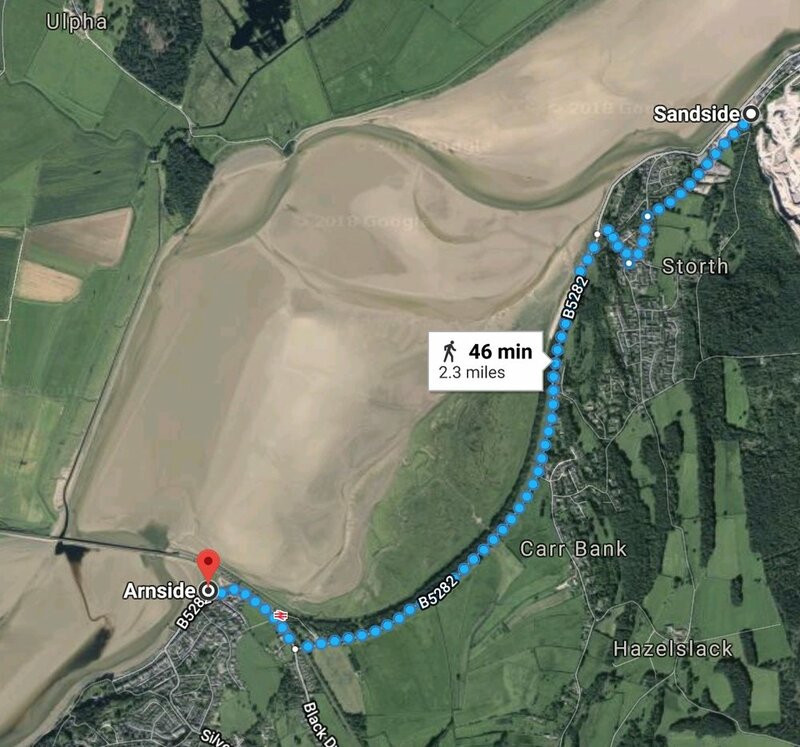 The embankment leads you to Arnside station where you cross via the foot bridge and walk into Arnside and along the promenade overlooking the viaduct. Historical trains are run along here until the autumn and we were lucky to catch site of one such train thundering across whilst we were there. 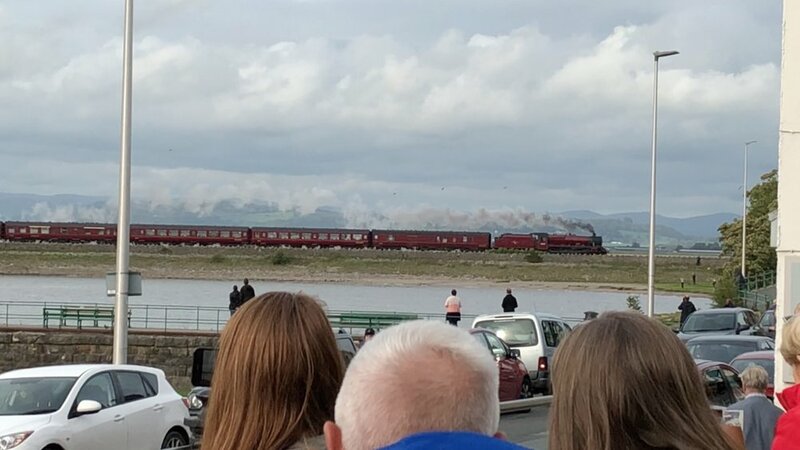 LMS Jubilee class 5699 Galatea steams across the viaduct at Arnside. Mid afternoon the cloud parted as the light began to fade and we made our way back along the old line back to Sandside. Some fantastic sunsets set off the scenery magnificently. 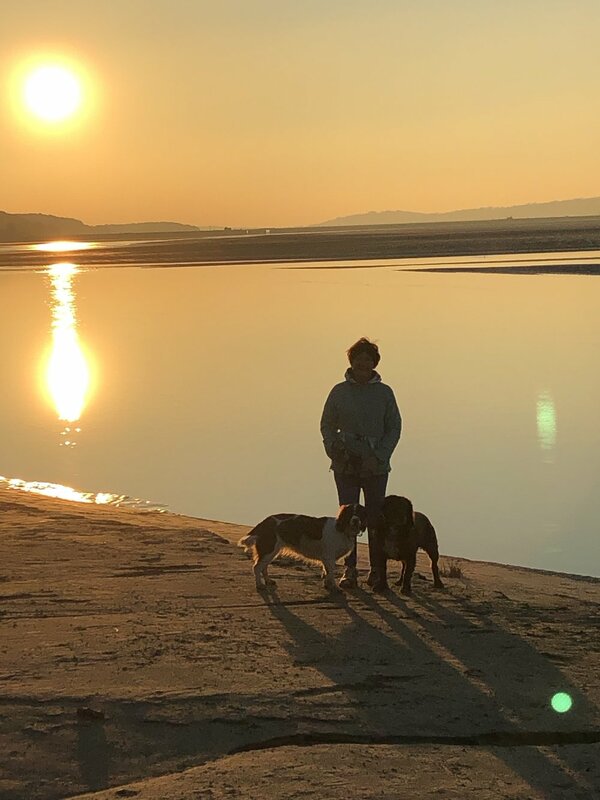 Sunset with Arnside viaduct in the distance. 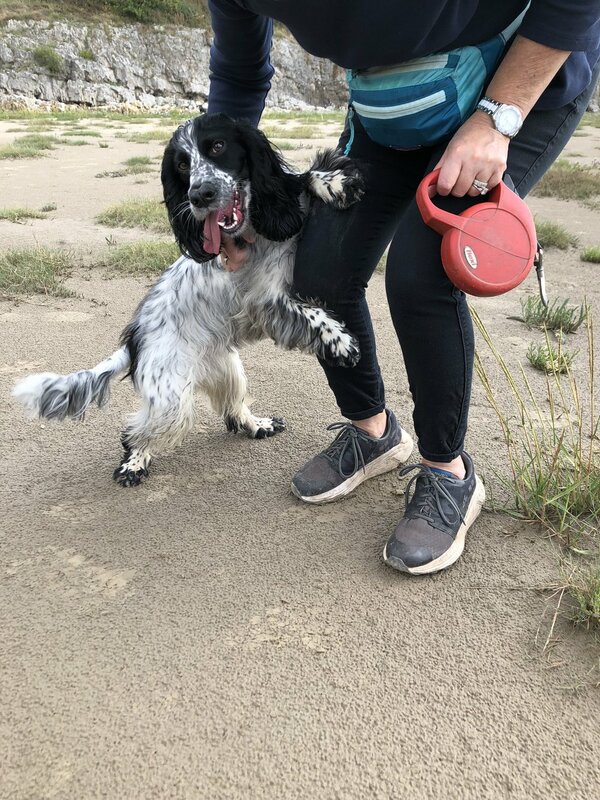 The MIDLINE 5.0 boot performed superbly on the muddy coastal stretches of beach as well as being exceedingly comfortable the whole of the walk. 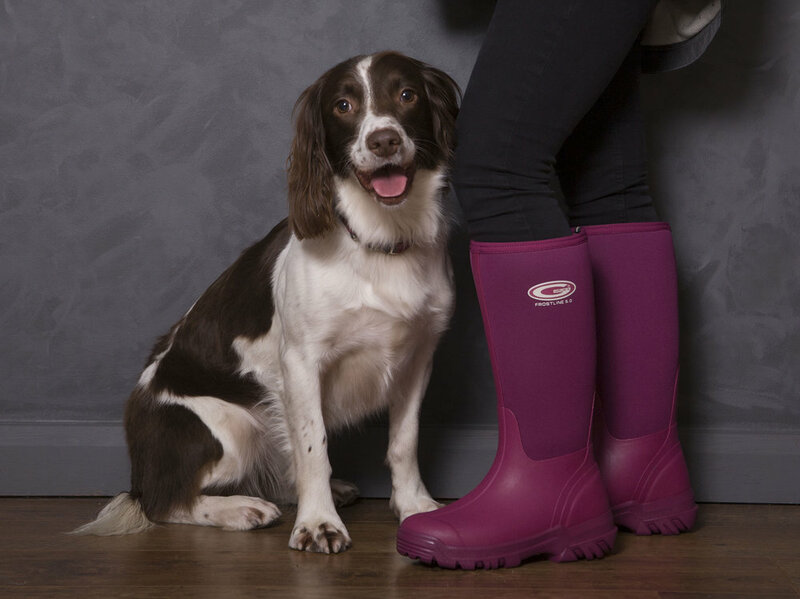 With the cooler weather making an appearance, boots to keep your feet warm and cosy are essential and for Gem Kingaby, she has definitely found the right pair for her. 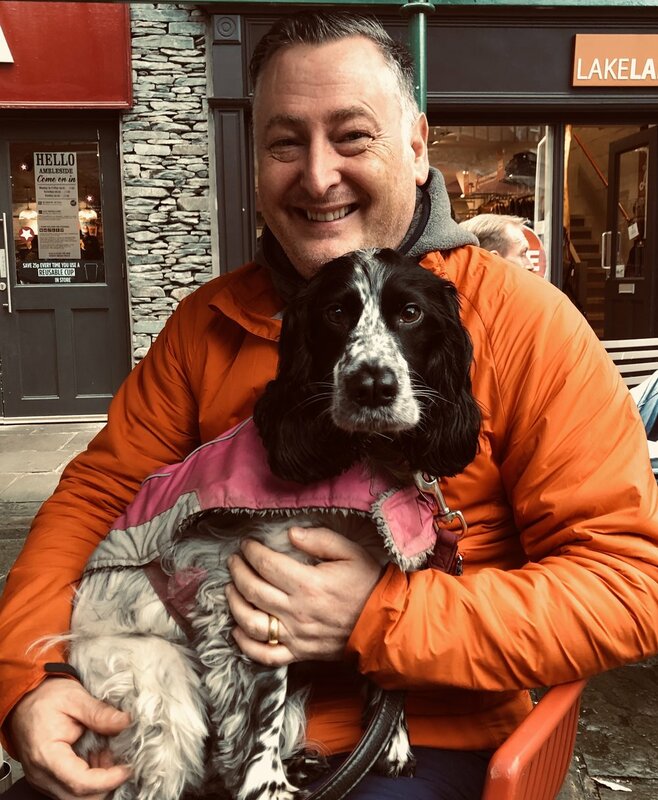 Gem, based in Pembrokeshire in Wales, suffers with really cold feet, even during the summer weather, so it was important to find a pair of boots that not only kept her feet warm but were breathable too. 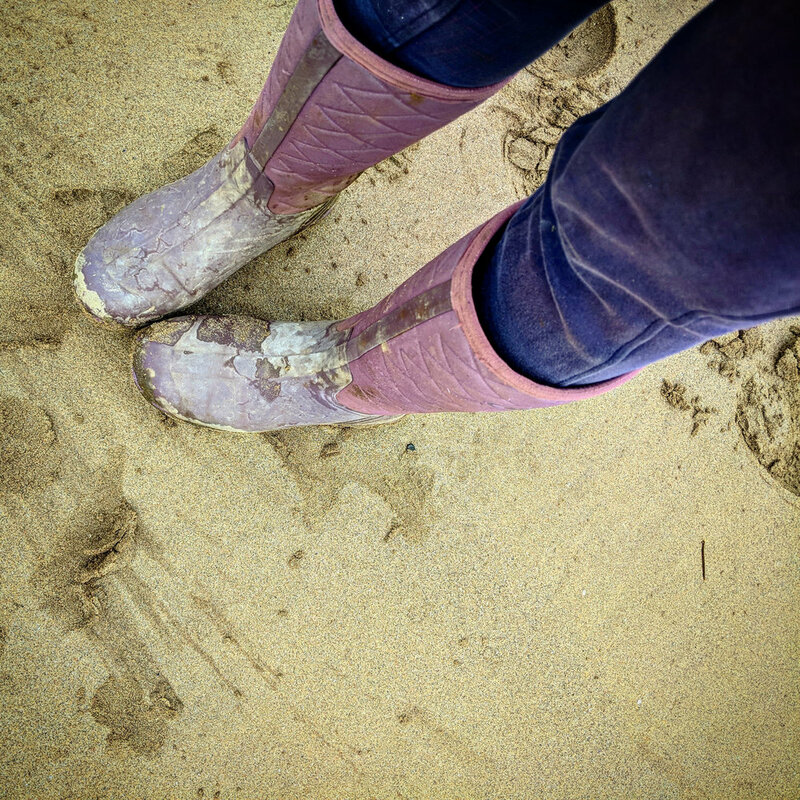 Working at a trail riding centre as a trail leader and also the photographer, the boots endure seaside walks, trekking in mud and then back to the stables to muck out the horses, and to Gem’s delight the boots from Grub’s are up to the task! 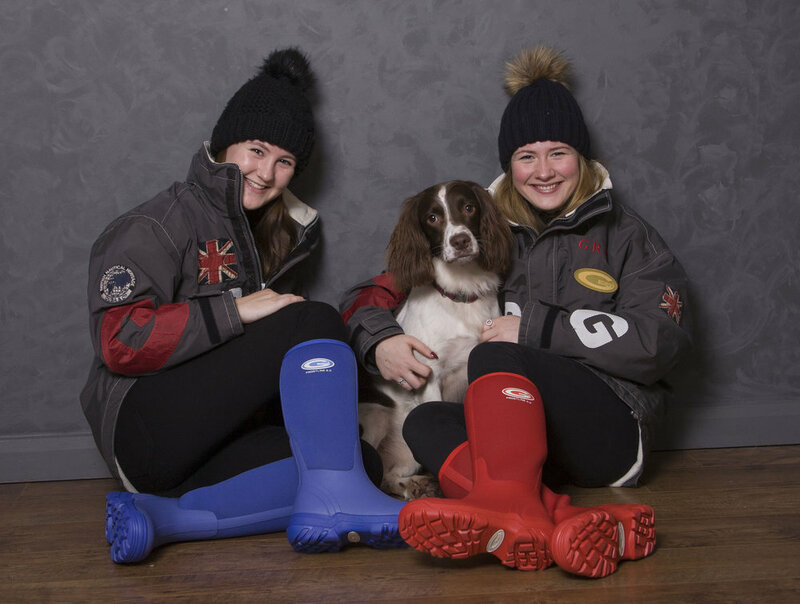 The Grub’s range of boots has various features to enable the boots to withstand whatever they are up against, such as the Nitrocell™ cushioning foot-bed to ensure comfort and insulation; several different styles of sole to offer superb grip and the Super-Dri™ lining to keep feet dry. Two new seasonal colours have just hit the shelves of a Grubs retailer near you. with the darker nights of September just around the corner the new Frostline in Scarlet will brighten up the evenings and set off the turning leaves of autumn. Ocean blue is a beautiful mid shade that is very popular this season and Grubs doesn't fail to add that sparkle of colour.